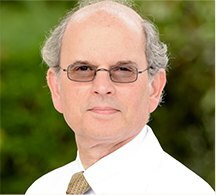 Dr. Cooperberg joined Durham Nephrology in 1988. He grew up in New York and graduated from Columbia University. Fluent in Spanish, he trained in Monterrey, Mexico and completed his fellowship in Nephrology at SUNY StonyBrook. He is a former President of the Duke Regional Hospital Medical Staff and member of the Durham County Hospital Corporation Board of Trustees. He is currently on the board of Project Access Durham County as well as the Critical Care Committee of Duke Regional Hospital. He is interested in all aspects of hypertension and chronic kidney disease in addition to end stage renal disease.